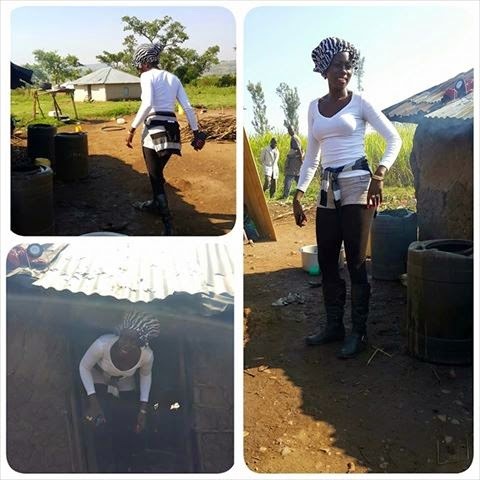 Kenya's richest female singer Akothee was recently touring a local changaa joint and appreciated how the lady " mama pima" was working hard to pay the bills. while there she just had a thought and openly shared what she would do to those men who spend the whole day under a tree and expect their wives to fetch for them. this is what she said. "Coming back home and find my lazy husband under the tree expecting me to prepare breakfast for him I swear you will get food coz i don't want you to die but forget about the CONJUGAL right coz I exhausted all my energy with the oxens while you were collecting your own please face the wall lest you meet my" Okumbo " Elbow"
Here is the photo she shared.